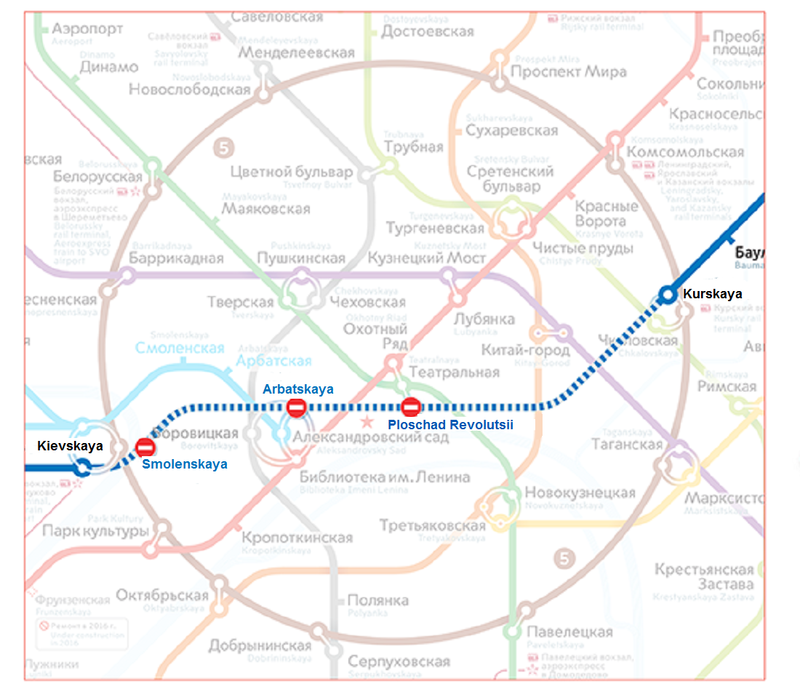 On-floor guide signs will appear at 49 stations of the Moscow Metro, on the Circle Line and transfer stations within it in 2014. 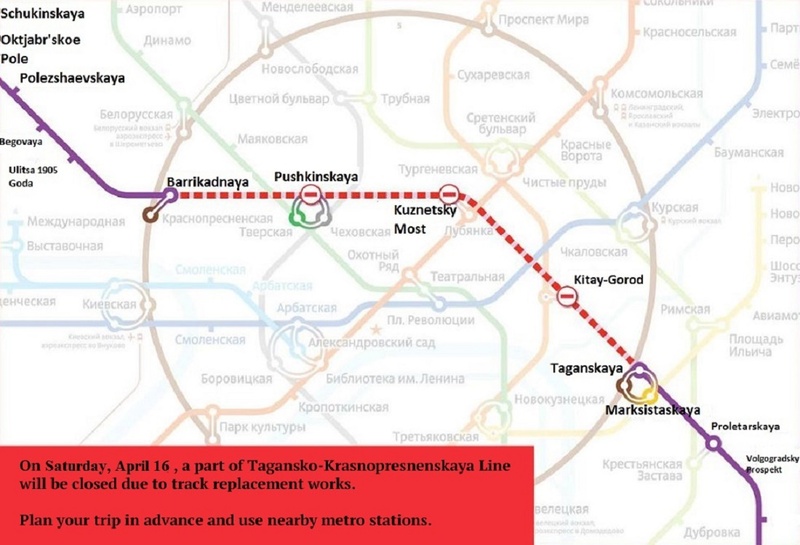 With the help of the new navigation system it will be easier to get to another station, go out to the city, or to find the aero-expresses trains. 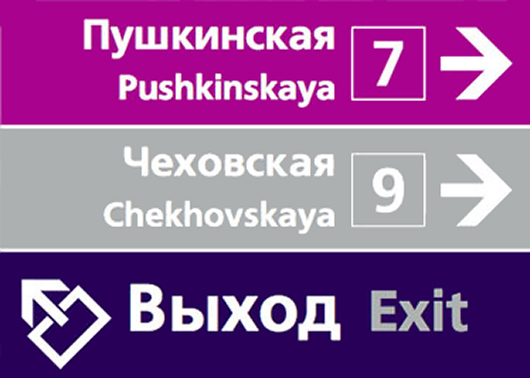 The first kind of the guide signs shows the place at the edge of the platform, where the doors of the subway cars are at the stop. 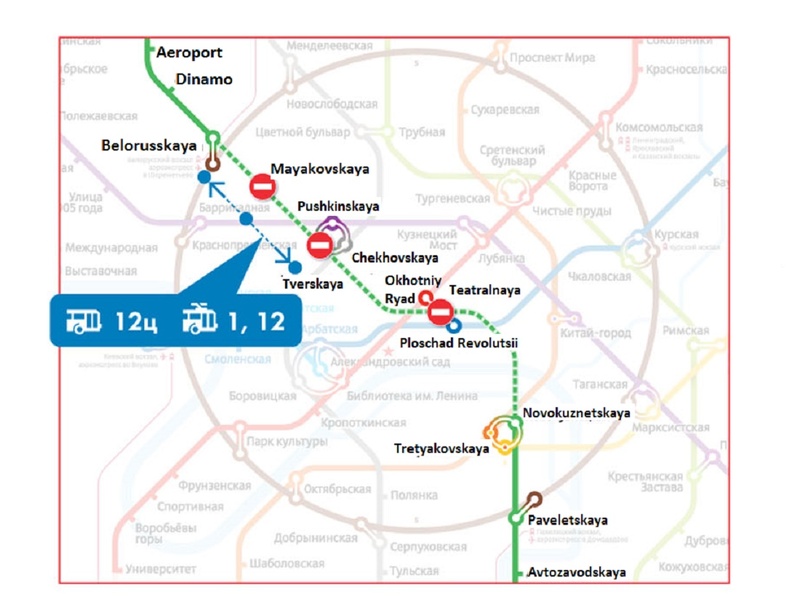 The second, points to the exits and to the ways to transfer stations. All guide signs will be duplicated in English. They will be clear, safe and ecological. First on-floor guide signs will appear in February 2014.